There was a time when I preferred my cookbooks to be all-encompassing. I wanted to have one book - or maybe two or three, for variety's sake - that would have appetizers, breakfasts, main dishes, desserts, and side dishes all in one neat little package. And while you're at it, give me a smattering of Italian, Tex-Mex, Chinese, barbecue, and pickling, too. Those books are great for a beginning cook or for someone who doesn't have much storage space for books. But the more I cook, the more I want details. Don't just give me one recipe for enchiladas, give me a variety of styles and sauces. Don't just give me Northern Italian - let's talk about that boot, too. 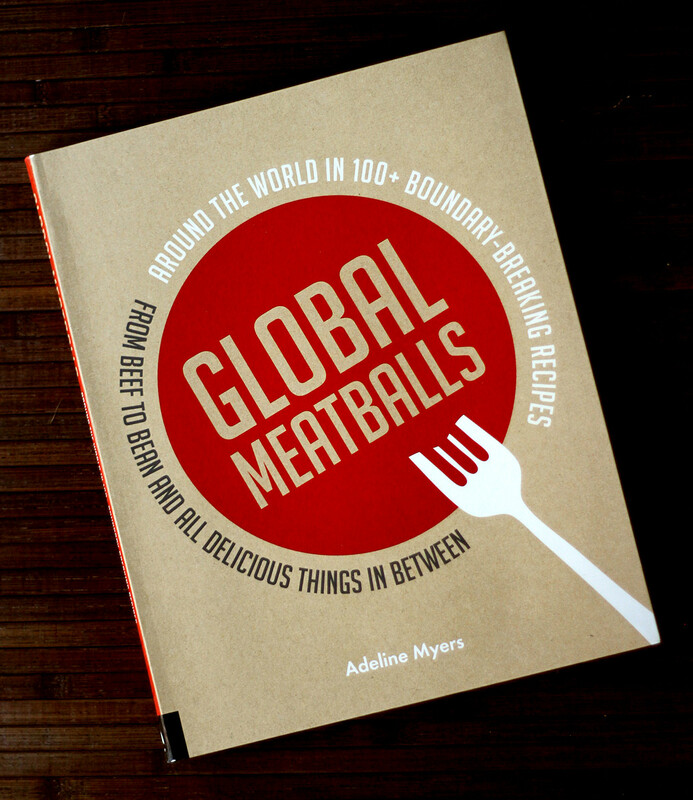 So when Global Meatballs landed on my doorstep, I did a little dance. I like meatballs. I like the idea of meatballs. But to be honest, most of the time my meatballs are either Italian or they're similar to my meatloaf recipe - an all-purpose, inoffensive ball of meaty goodness in search of a sauce. I'm going to go out on a limb here and say that these may be globally-inspired meatballs rather than meatballs made in each country. But I'm fine with that. I'm also fine with the fact that not all of the meatballs are meat. There are vegetarian balls, as well. I've got beet balls bookmarked. Maybe because I love beets, but also because it's so quirky to take a round vegetable and shred it, just to turn it back into a ball. 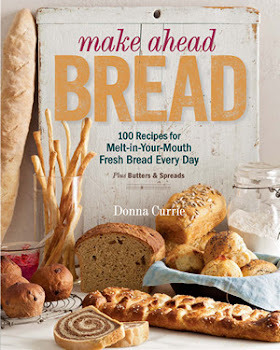 I've made a few recipes from this book and I have a whole bunch more bookmarked, like potato balls with a ricotta cheese filling, buckwheat balls with a mushroom gravy, and a bahn mi meatball sandwich. As you can see, the book isn't just about making a bunch of meatballs, but it's also about how to dress them up for serving. So far, my favorite recipe is the Taco Chicken Meatballs, probably because it's not something I ever would have thought of. The meatballs are served with a tomato-salsa-spiked rice, but they're also pretty good all by themselves or stuffed into a tortilla. Think about that. Taco Chicken Meatball Tacos. It's mind-bending. When I made these, the meat mixture was way too soft to hold together when I first mixed it, so I added more bread - not soaked this time - to get it to the right consistency. The recipe did note that you could add more bread if the milk didn't all get soaked up, so obviously there' some wiggle room in the recipe. Extra bread or not, it was a tasty recipe. I think next time, I'll try it with turkey. Add the oil and rice to a 30-quart ovenproof saucepan or Dutch oven on medium heat. Cook, stirring often, until the grains of rice turn milky white, about 5 minutes. If a little of the rice gets toasted, that's fine. Add the salsa, water, and salt. Stir and bring to a boil. Cover the pot, take it off the heat, and place it in the oven. Cook for 25 minute at 350 degrees, then remove it from the oven and let it rest for 5 minutes with the cover on. Fluff the rice with a fork before serving. While the rice is cooking, soak the bread and milk in a large bowl for 10 minutes, until the milk has been absorbed and the bread is mushy. If there's a puddle of milk, add more bread. Meanwhile, saute the onion in the oil in a medium saute pan until tender. Have a baking sheet standing by. If you like, line it with aluminum foil for easy cleanup and spray with a little oil to keep the meatballs from sticking. Add the onions and all of the remaining meatball ingredients to the bowl with the bread. Mix well with your hands. 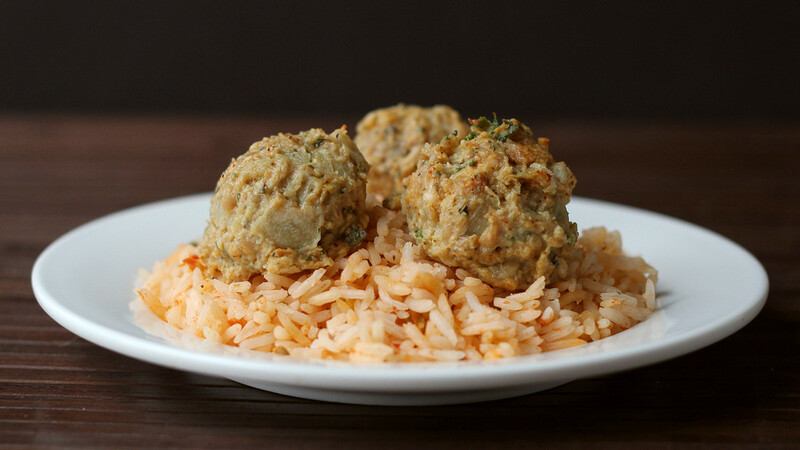 Form the meat mixture into approximately 2-inch balls and arrange them on the baking sheet. When all the balls are prepared, bake at 350 degrees for 20 minutes. When they're done, they should reach 170 degrees on a meat thermometer. Serve the meatballs with the rice. Garnish as desired - anything you'd use for tacos would be appropriate, like lime wedges, sour cream, or guacamole.